Faith leaders and others who help those in need in the community at large may be asked whether or not the Affordable Care Act is still in effect. Please make yourselves conversant with current regulations and processes so you can be of maximum help to those who seek your assistance. You can find the information at https://www.healthcare.gov. The Atlantic Institute is inviting the public to a lecture by Sevgi Akarcesme (photo), a Turkish journalist in exile, to be held at the Istanbul Cultural Center (940 South Winter Park Drive, Casselberry, FL 32707) on Thursday, November 2, at 6:30 pm. Ms. Akarçeşme will discuss Turkey’s swift drift into dictatorship, not only telling about her own ordeal but also analyzing the current political and social climate in Turkey as a massive purge continues. She was dismissed as editor-in-chief of Today’s Zaman, an English daily in Turkey, which was brutally taken over by the regime in 2016. 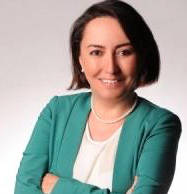 Ms. Akarçeşme received her BA in Political Science from Bilkent University in Turkey in 2001. She holds Master’s degrees in International Relations and Political Science from Temple University. Following her graduate studies, she joined CSIS (Center for Strategic and International Studies) in Washington D.C. In Turkey, she worked at the Office of the President between 2008 and 2011. The event, which is part of the Atlantic Institutes Lecture Series, will begin at 6:00 pm with a reception and light refreshments, followed by the presentation at 6:30 and a Q&A at 7:30. Space is limited, and those wishing to attend must RSVP to Dr. Debbie Medina. On the weekend of November 3-5, the Sikh Society of Central Florida (2527 West State Road 426, Oviedo, FL 32765) will celebrate the birthday of Guru Nanak Dev Ji, commemorating the birth and philosophy of the first Sikh Guru and founder of Sikhism. The Sikhs will be celebrating Guru Nanak’s birthday with the following worship services (kirtans, as they are called in Sikhism): Friday, November 3, 7:30 to 8:30 pm; Saturday, November 4, 7:30 to 8:30 pm; Sunday, November 5, 11:30 am to 1:30 pm. The public is invited to attend any or all of the services. Each service will by followed by “Langar,” a free vegetarian meal for everyone. “Examining Cultural Issues from a Biblical Perspective” is the title of a ministry forum that may be of particular interest to conservative Christian pastors and ministry leaders. The event will be held on Saturday, November 4, from 8:15 am to 1:30 pm, at the Orlando Campus of Palm Beach Atlantic University (4700 Millenia Blvd., Suite 100, Orlando, FL 32839). “The event will feature a variety of speakers who will examine and discuss various cultural issues from a biblical perspective.” Cost is $10, which includes lunch. For details and to register, click here. The Roth Family Jewish Community Center’s Central Florida Jewish Film Festival, hosted in partnership with Maitland’s Enzian Theater for the last 19 years, once again is bringing you films with Jewish and Israeli themes that will make you laugh, cry and think. The Jewish Film Festival is a cinematic celebration of Jewish life, culture and history. Using the power of film to inform, educate and—most of all—entertain, the festival challenges conventional perspectives on issues facing all of us. Go to the Enzian website for screening venue, times, details of each film, ticket prices and how to purchase them. The Holocaust Center is partnering with Opera Orlando and Florida Symphony Youth Orchestra to present the children’s opera Brundibar as part of this year’s commemoration of Kristallnacht. The performance will be held at the Rosen Jewish Community Center (11184 South Apopka Vineland Road, Orlando, FL 32836) on Sunday, November 5, at 2:00 pm. The opera is based on the anti-Jewish riots in Germany and Austria (November 1938) that came to be known as Kristallnacht—the “Night of Broken Glass”—a reference to the broken windows of synagogues, Jewish-owned stores, community centers and homes plundered and destroyed that night. 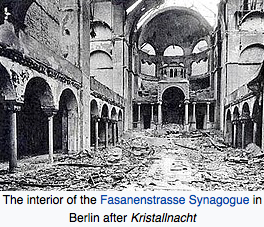 Kristallnacht was a turning point in the Nazi’s anti-Jewish policy, which would culminate in the Holocaust: the systematic, state-sponsored mass murder of millions of Europe’s Jews. The opera Brundibar, written by Hans Krasa in 1938 and performed 55 times by the children in the Terezin concentration camp, tells the story of two children who must raise money to buy milk for their sick mother, but are repeatedly thwarted by Brundibar, the town bully. Through teamwork and perseverance, they are able to overthrow Brundibar and restore peace to the town. Click here to buy tickets and to learn more about Kristallnacht. Also featured at the Kristallnacht commemoration as a complement to the performance of Brundibar will beVedem, a song-cycle based on a magazine of the same name that was circulated by a group of boys at Terezin. Composed by Lori Laitman, the oratorio intertwines original poetry from the magazine and interludes about the boys’ lives to create a musical work that is both inspiring and heartbreaking. On Thursday, November 2, at 6:00 pm at the Holocaust Center (851 Maitland Avenue North, Maitland, FL 32751), Vedem composer Lori Laitman will discuss her inspiration and process behind her song cycle. Excerpts will also be presented as a preview performance. The Thursday event is free and open to the public. For more information, contact Terrance Hunter by email or phone (407-628-0555). The New Age (Seniors) Group of the Hindu Society of Central Florida (1994 East Lake Drive, Casselberry, FL 32707)) cordially invites the public to a Multi-Faith Workshop on Sunday, November 5, from 2:00 to 3:30 pm, followed by refreshments. (Registration begins at 1:30 pm, so please arrive early.) Theme for the day is: “The Importance of Collective Prayer in Promoting Global Peace.” The presenters, representing several faith traditions, will give brief presentations focusing on the role of both personal and collective prayer in fostering peace for the individual, the community and the world, based on their faith tradition’s teachings. Are there steps we can take as individuals, following the practices and values of our respective faith traditions, to plant the seeds of peace and to nurture peace to fruition? Is global peace something we can actually impact through both private and collective prayer? What does your faith tradition teach? What does your faith community do to encourage adherents to become involved in collective intra-faith prayer for peace? What does it do to encourage collective inter-faith prayer for peace. These questions and more will be addressed. The event is a collaborative effort of Hindu University of America, the Chinmaya Mission, the Sikh Society of Central Florida and the Interfaith Council of Central Florida. The event is free, with prior email RSVP, and the public is invited. Hear the varied perspectives of the Rev. Bryan Fulwider, Rabbi Steve Engel and Imam Muhammad Musri as each week they discuss how faith impacts both the simple and the complex aspects of life. These three clergy come together as friends to discuss topics from the perspective of the different religions they represent. They contend that “good religion works for peace, respects and values others regardless of their religious perspective, and works through acts of compassion to make the world a better place for everyone.” Friends Talking Faith with The Three Wise Guys airs on Tuesdays at 6:30 pm on 90.7 WMFE FM in Orlando. Tune in on your radio or listen online. You can also listen to any show already aired. In programs during November, the Three Wise Guys will reflect on the the fires in the west and the hurricanes in the south and in Puerto Rico and the Virgin Islands, discussing what’s the best way for people of faith to respond to such natural disasters. In a program recorded live from South University’s College of Religion, the Three Wise Guys will discuss practical ways in which believers can live their faith; the role religious schools play in shaping young religious leaders; and maintaining healthy boundaries between religious leaders and their congregation when it comes to friendship, professionalism and counseling. Guests include Lynette Fields, Director of Missions at St Luke’s United Methodist Church, Orlando; and Elder Douglas Carter, Hurricane Irma Disaster Relief Team Leader, Church of Jesus Christ of Latter-Day Saints. The annual Florida Faith Symposium will be held November 7-8 at the Rosen Centre Hotel (9840 International Drive, Orlando, FL, 32819). The Symposium is one of the State of Florida’s premier events to bring together leaders of faith—who are almost exclusively Christian, as are the emphases and vocabulary of the faith components of the programming—child welfare, juvenile justice and others to talk about how we can more effectively work together to empower Florida’s children and families and set them on a path to success. The event is being held in collaboration with the Florida Department of Juvenile Justice, the Florida Department of Children and Families and their partner, the Florida Faith-Based and Community-Based Advisory Council. Go to the Faith Symposium websitefor more information, costs and to register. Interfaith Discussion: Where Is God When Tragedy Strikes? Wildfires. Earthquakes. Maria. Irma. Harvey. Floods. Zika. Ebola. There’s more than enough to provoke deep questions concerning religious faith and how it works—or doesn’t. And to complicate matters, it seems for every person who doesn’t survive the onslaught of such events, there are always people with a story to tell about how they came within a whisker of not surviving—but God was looking out them, and they dodged the proverbial bullet. So what role does God play? Are catastrophes sent by God as punishment? Does God individually decide who should die, be injured or escape unscathed? Think about those questions and more. Then come to discuss them at the Interfaith Discussion on Wednesday evening, November 8, sponsored by the Interfaith Council of Central Florida. The discussion is held from 7:00 to 8:30 pm on the second Wednesday of each month at Adventist University of Health Sciences (671 Winyah Drive, Orlando, FL 32803) on Florida Hospital’s main campus. The exchanges are respectful, open and candid, and the participants represent a variety of faith traditions as well as those who question the validity of faith altogether. 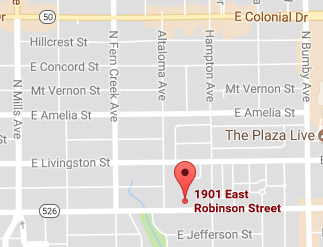 For directions to the meeting place, click here. Admission is free. Everyone is invited. Vision Orlando is hosting a three-hour morning in-service session on Wednesday, November 8, “to strengthen, encourage and invest in” the wellbeing of Christian pastors of all denominations. 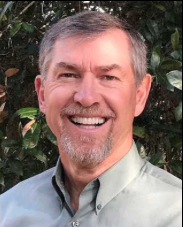 The event’s organizers pose the question: “Pastor, who is watching out for your spiritual and mental wellbeing?” To ensure that it’s not all left to the pastors themselves, Vision Orlando is hosting this free event, with Christian therapist Gordon Hobby (photo) as facilitator. The event will be held in Faith Hall, First Baptist Orlando (3000 South John Young Parkway, Orlando, FL 32805). Click here for a video description and invitation. Click here to register. The Interfaith Council of Central Florida invites those of all faiths and no faith to an interfaith service of thanksgiving, music and prayers for peace, which will include readings from the sacred scriptures and other revered writings of Central Florida’s various faith traditions, as well as music and prayers common to those faiths. This one-hour service of contemplation and reflection will be on Sunday, November 12, from 3:00 to 4:00 pm, in the Chapel at St. James Cathedral (215 North Orange Avenue, Orlando, FL). The program will feature components from the Baha’i, Buddhist, Christian, Hindu, Jewish, Muslim, Sikh and Unitarian Universalist faith traditions. Everyone is welcome. The Orange County Regional History Center (65 East Central Blvd., Orlando FL 32801) will feature an exhibit from November 12 to February 20 (100 days) highlighting 100 years of Judaism in Central Florida. 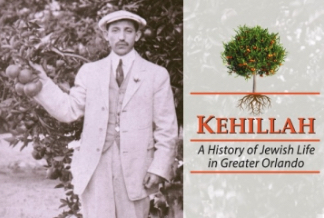 The exhibit is titled “Kehillah,” a word that means community. And to tell the history of Orlando’s Jewish community is to tell the history of Orlando itself. From the days of Orlando’s infancy, Jewish settlers, migrants and immigrants became pioneers of business and industry. Through photographs and artifacts, learn how Central Florida’s Jewish community played a major role in the region’s development while keeping Jewish ties and traditions alive. Click here for more information about times, entry cost, parking and other details about the History Center. The Atlantic Institute will host its annual Early Thanksgiving Dinner on Monday, November 13, from 6:30 to 8:00 pm at its headquarters (940 South Winter Park Drive, Casselberry, FL 32707; see map). Speaker for the event will be Dr. Joel C. Hunter, chair of the Community Resource Network and chair of the Central Florida Commission on Homelessness. Theme for the evening is: “We’re thankful to God that we have been given enough to share with those who don’t have enough.” An admission of $15.00 per person covers the meal and the event. Direct your questions via email to Debbie Medina. Click here to RSVP and to purchase your dinner ticket. The dinner creates an opportunity for community members from diverse backgrounds to become better acquainted and thus to work together more effectively to meet the many needs of our community. If you’ve always thought that opposition to the death penalty is a stance that only bleeding-heart liberals can support, think again. Conservatives with solid conservative credentials are increasingly arguing against capital punishment—not in spite of, but—because of their conservative religious and/or political beliefs. In fact, they’ve not only organized because of their concern, they’ve also clearly articulated their rationale in a highly thought-provoking document. So if you’ve always considered yourself a conservative, have a look at what an increasing number of your fellow conservatives are saying. And if you’re a liberal, you might appreciate discovering that there are even more reasons to call into question the death penalty than you’d realized. The Golden Rule Initiative is hosting an “Interfaith Kahoot Tournament” focused on bringing the community together for a time of unity, fun and excitement on Saturday, November 18, from 11:00 am to 1:00 pm at the Automotive Building on the Sanford/Lake Mary Campus of Seminole State College (100 Weldon Blvd., Sanford, FL; View Map). 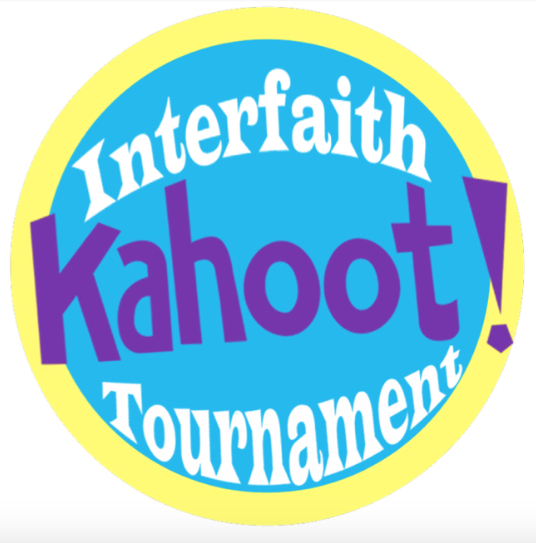 The Interfaith Kahoot Tournament is a competitive team-based test of participants’ knowledge in the following religious and social areas: Religious Holidays, Religious Symbols, Gods and Deities, Drug Abuse and Gun Violence. Bring your friends and family to enjoy free food, guest speakers, raffles, prizes, the tournament and lots of fun. Click here for more detail and to register. On November 18, from 4:00 to 6:00 pm, Dr. Ferry Muhammadsyah Siregar, a Postdoctoral Fellow in Department of Religious Studies at University of South Florida, will speak at Hindu University of America (5200 Vineland Road, 120, Orlando FL 32811) on the theme “Religious Influence, History, and Authority in Southeast Asia: Hinduism and Islam in Indonesian Culture and Society.” The lecture, which will be held in HUA’s Oxford Room, is free, and the public is invited. Get more information by sending an email or phoning 407-275-0013. The entire community is once again invited to indulge in a different sort of Thanksgiving turkey—the 28th annual Seniors First Turkey Trot 5K, presented by HUB International, on Thanksgiving morning (November 23) at Lake Eola. Proceeds help support programs such as Meals on Wheels, Neighborhood Lunch, In-Home Care and Stepping Stone Medical Equipment Bank—all of which are focused on keeping our most vulnerable seniors living independently in their own homes for as long as possible. The race begins at 8:00 am, but there’s plenty of pre- and post-race fun: 6:30 am: Day-of Registration opens. 7:00 am: Costume contest. 7:45 am: Turkey Call contest. 8:00 am: Turkey Trot 5K. 9:15 am: Kids Tot Trot. Click here to register and for more information. The Third Annual Summit on Religious Freedom is scheduled for Tuesday, January 30, from 7:00 to 9:00 pm, at Faith Hall, First Baptist Orlando (3000 South John Young Parkway, Orlando, FL 32805). Speakers and the program for this highly important event are being finalized and more detail will be provided in next month’s issue of this newsletter. Baha’is, Buddhists, Christians, Hindus, Jews, Muslims, Sikhs, Unitarian Universalists—in other words, leaders in all faith traditions—are invited to a meeting on Wednesday, January 31 (venue still to be determined), to organize an Interfaith Council of Osceola County. The goal is to create loose-knit organization in which faith leaders from diverse backgrounds can become acquainted, learn more about each other’s faith tradition and work together for community betterment in areas where there’s consensus. It makes a powerful statement to onlookers when faith leaders of diverse background can work together in practical ways for the good of the larger community. If you’re a faith leader in Osceola County, please mark your calendars and spread the word to others who you think might be interested in being part of such an organization. More specific details will be provided in the December and January issues of this newsletter.